ModeAudio is delighted to bring you a brand new selection of custom synth patches, in the form of Edge of Noise – FM8 SFX Presets! Featuring a wealth of explosive impacts, intricate, layered drones, deep sub drops and far beyond, this set of fully modifiable sound effects for Native Instruments’ FM8 soft synth is sure to set your productions alight! The power of FM8’s flexible modulation matrix has been harnessed to its full potential with these sounds, with each laced and layered with every last drop of timbral excitement and energy FM synthesis has to offer. The 50 handcrafted presets included range from deep, subversive drones and darkly atmospheric soundscapes to pulverising hits and complex gestural patterns. There is everything you need to create dreamy transitions, disconcerting trail-offs, explosive rhythms, unforgiving drops and so much more. Every single preset bundled in this collection has been carefully designed to offer both an immediate sonic impact, as well as the scope to shape-shift in tune with the given project session. Tap the drones and strange percussive sounds are revealed; linger on the impacts and mysterious soundbeds arise – put simply, there is bags of sound design potential with this preset pack. 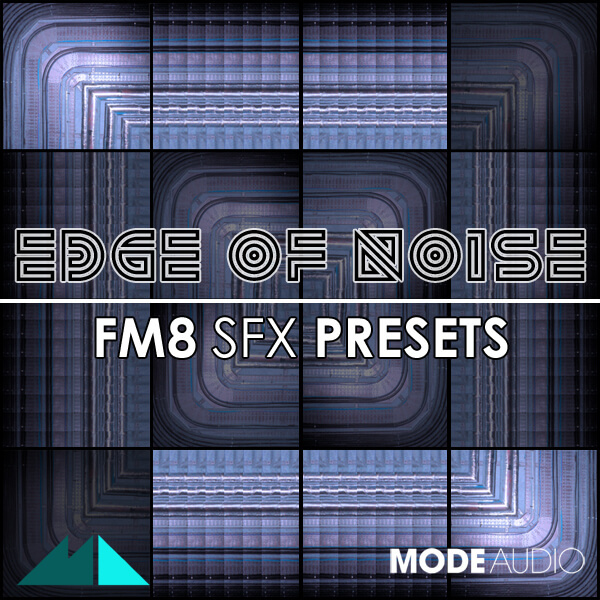 If you’re looking to give your productions a serious dose of SFX power, then look no further than Edge of Noise – FM8 SFX Presets!